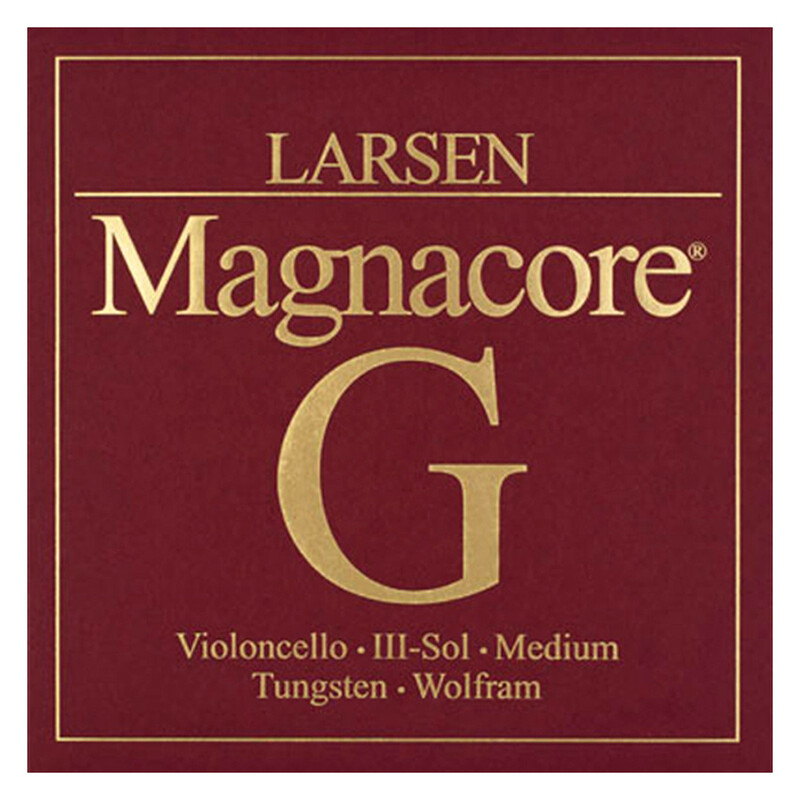 The Larsen L334-232 Magnacore Cello G String provides a focused tone for the modern musician. The string's core is made from steel, which produces a direct sound with loud, smooth projection. The string is wound with rolled flat wire for a more balanced response. The medium gauge tension provides an optimum balance between versatility and playability. This G string is designed for full size cellos and features a ball tailpiece end. The Magnacore series of strings offer a balanced sound for the advanced cellist. The strings have a sensitive feel that allows the subtle nuances in your playing to be displayed. This gives you access to a full range of tonal colours for your playing. The strings’ solid steel cores produce brightness accompanied by a charismatic roundness. The strings’ high quality materials and expert craftsmanship makes them long lasting and durable whilst on the road or in the studio. The Magnacore series strings are ideal for players who want the most out of their cello.